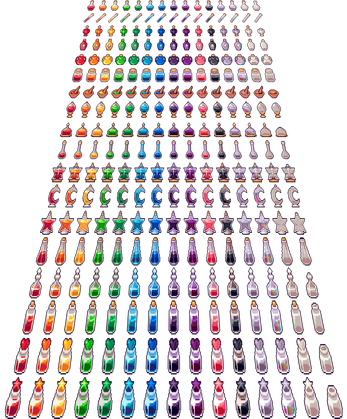 A collection of Potion/Bottles icons ready to use with RPG Maker MV (48x48). The designs are based on the RTP iconset. 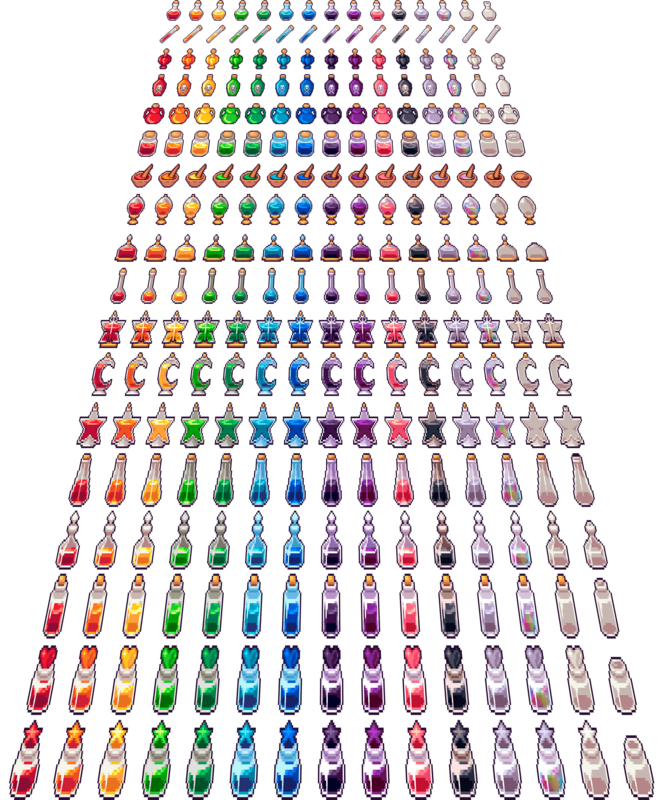 In total has 18 different designs, in 12 colors + rainbow/prismatic, empty, and empty without a cover = 270 Icons ! Other designs will be added to this product later and suggestions are welcome! !